Victorian Wood / Glass Bon Bon Box made into Jewelry box PRICE REDUCTION! 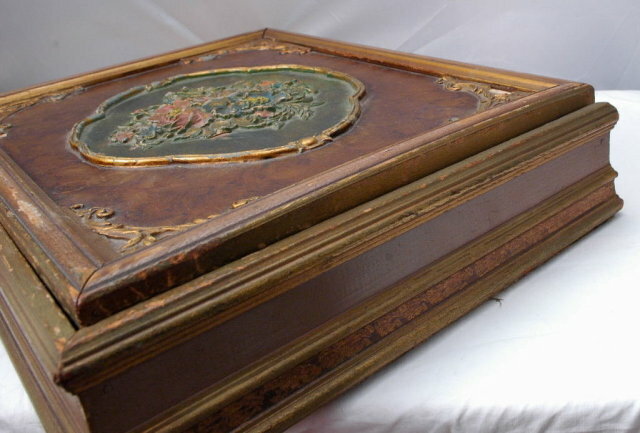 Victorian Wood / Glass Chocolate Box made into Jewelry box. 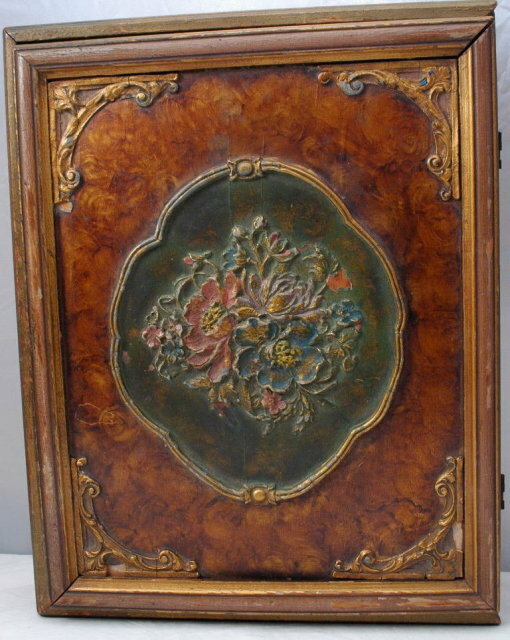 These treasured ornate boxes were given as gifts filled with candies. The box lids were so beautiful the recipient would save it as a keepsake. Frequently converting into a jewelry box. 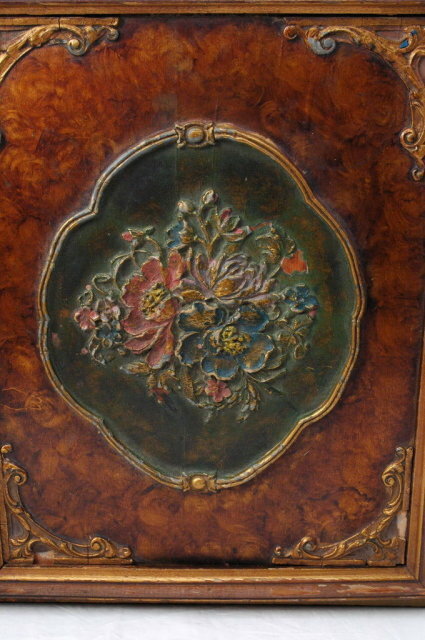 This one here has a lovely raised and painted floral design. I assume that the raised motif is made of some type of applied composition material. 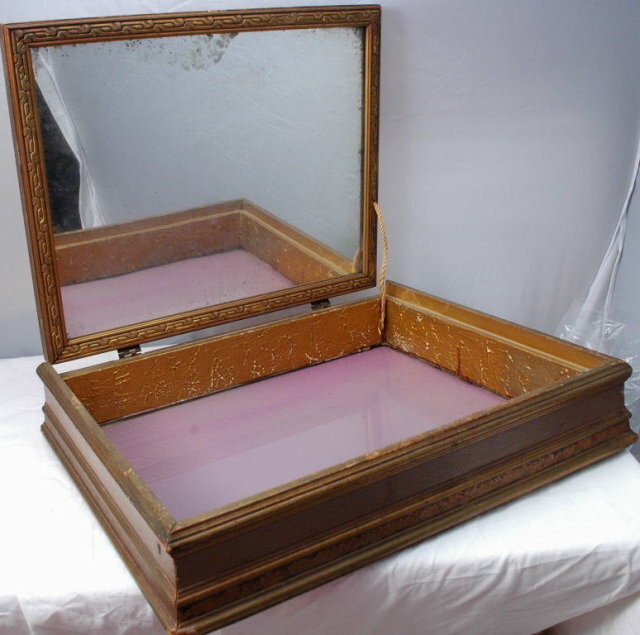 The has been a mirror attached to the inside of the lid and the floor of the box is glass lined. The measurements are 14" x 11" x 4". It is surprisingly heavy for the size it weighs 5 lbs. The condition is very good for age. There is some age cracking in the wood veneer of the lid Then there two missing chunks of veneer with in the lower corner trim on both corners. Items Similar To "Victorian Wood / Glass Bon Bon Box made into Jewelry box PRICE R..."